Mamoru came home from work one early morning and announced he had received a promotion! He was now an Alien Goods Trader! 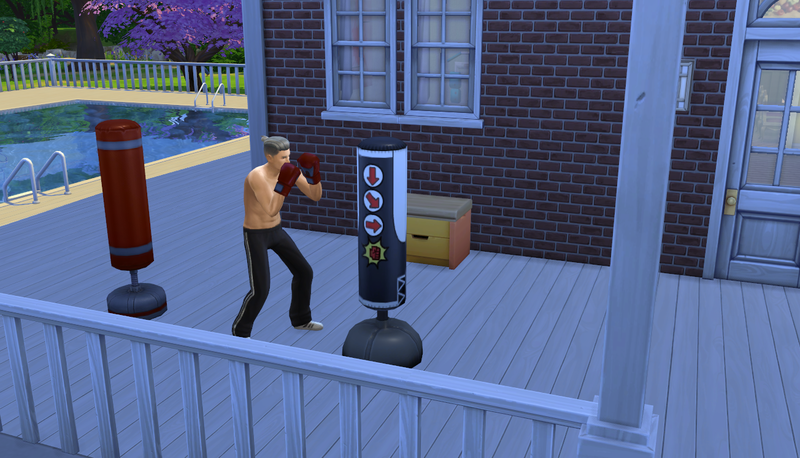 He was given a cool new punching bag (you’ll see later) and an awesome Firefly-esque career outfit. 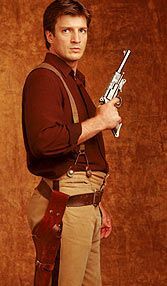 Well, it reminded me of a mix of Captain Malcom Reynolds from Firefly and Starlord from Guardians of the Galaxy. It seems like I waited forever for Chiyo to age up but when she did she turned into a cutie! She rolled the goofball trait (CathyTea!!!) and Whiz Kid. We can work with that! Aya took a break from her swimming to help Chiyo read a book. I told her to take off her sunglasses because A) it was nighttime, and B) how could she read with those on?! She didn’t listen. Mamoru had rolled a new whim I’d never seen before that had him wanting to show someone the constellations so outside he went with Sonia. After they completed their two hours of reading, Chiyo went right to her homework. 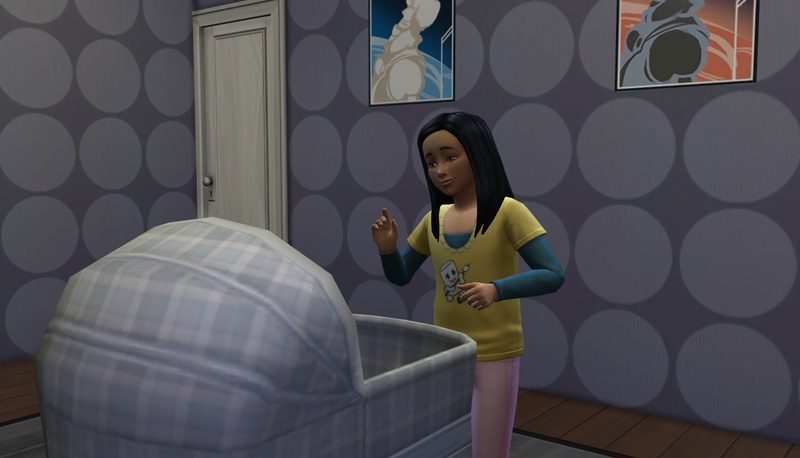 Mamoru followed her in and started helping her like any good grandfather would do. 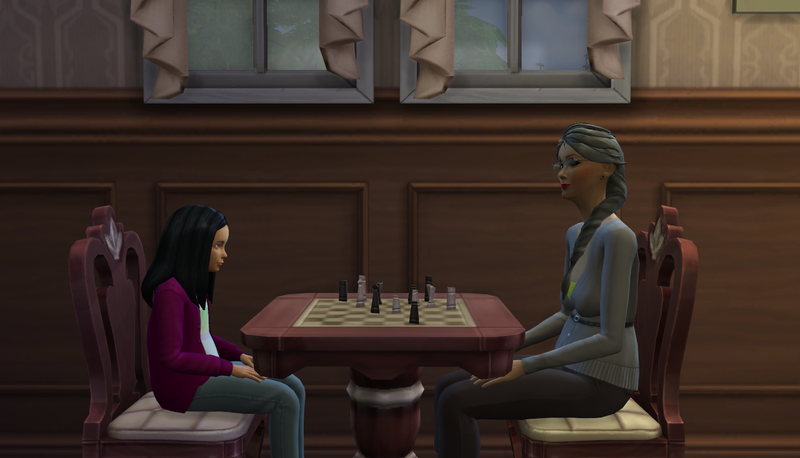 Once it became really late I gave Chiyo some Zzz juice and the Up All Night Squad moved on to their next activity: chess. It was an intense game. 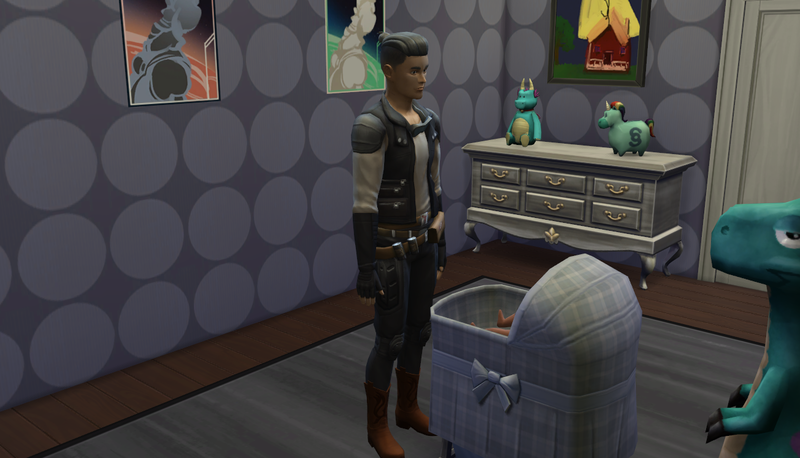 Aya’s never weary trait is pretty perfect for this sort of thing! It’s like a stare down. The next day, Mamoru spent a lot of time working out then resting. 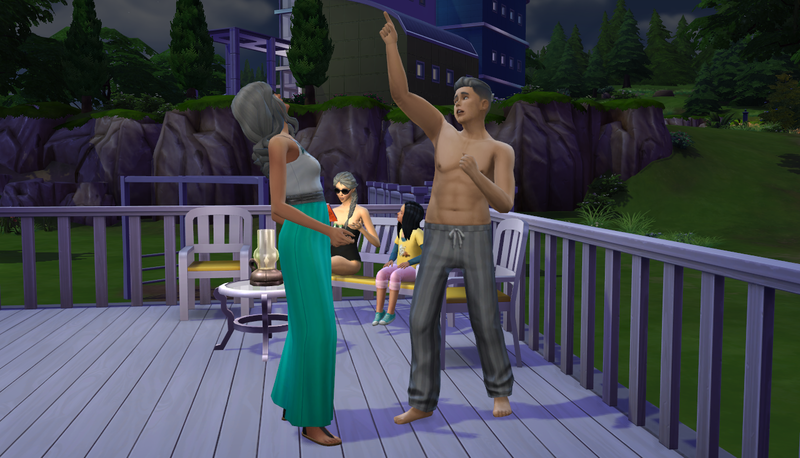 That was his routine and it finally paid off: he reached level ten of the fitness skill! 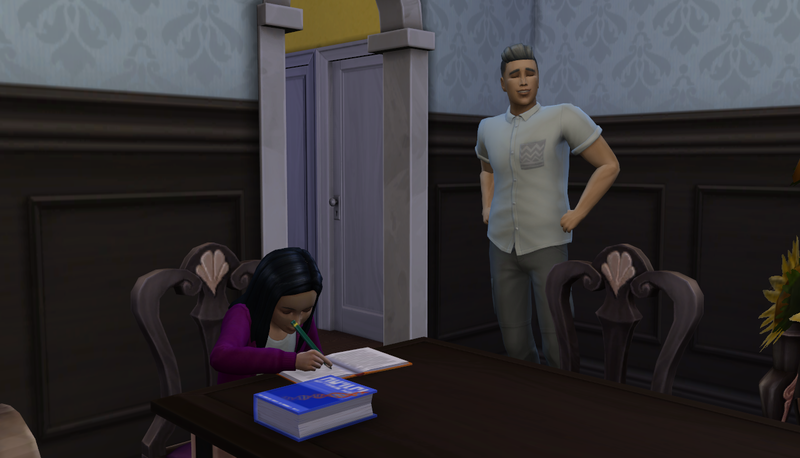 Now he could mentor a child and be one step closer to completing his aspiration. I wasn’t sure he’d ever get there because elders can’t work out for very long without becoming dangerously tired but we made it work. Hey… where have Kaori and Malik been? 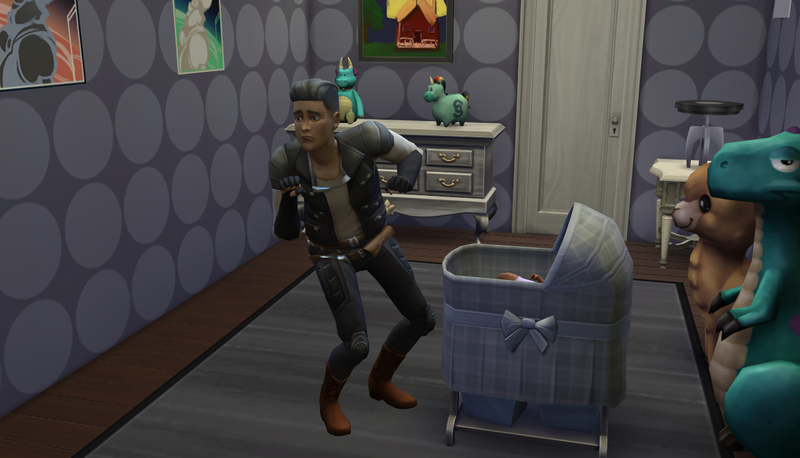 They had another baby, of course! They named her Sayuri (like I mentioned in the last post). 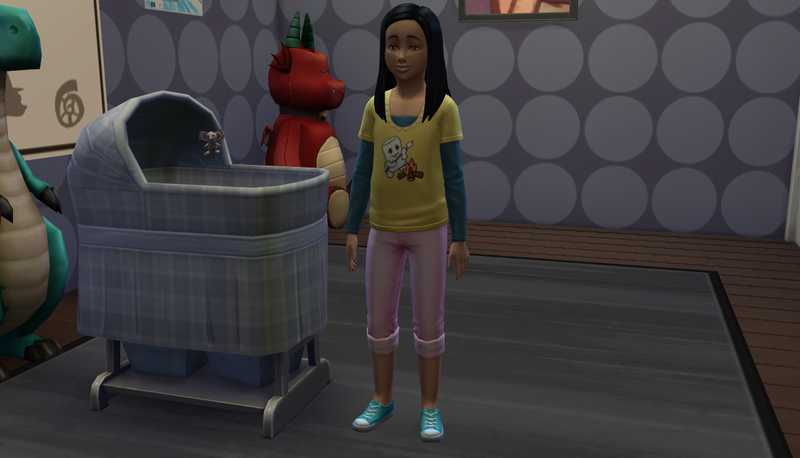 We’re still holding out for a boy for the tenth gen heir and hopefully we’ll get one with our next babe. Chiyo and new sissy Sayuri did not seem to get along at first but they’ll learn to love each other. There’s another bun in the oven so we’ll soon find out if we’ll have our heir! I don’t have a name picked out yet – yikes! ← Chapter 77: GEN TEN!